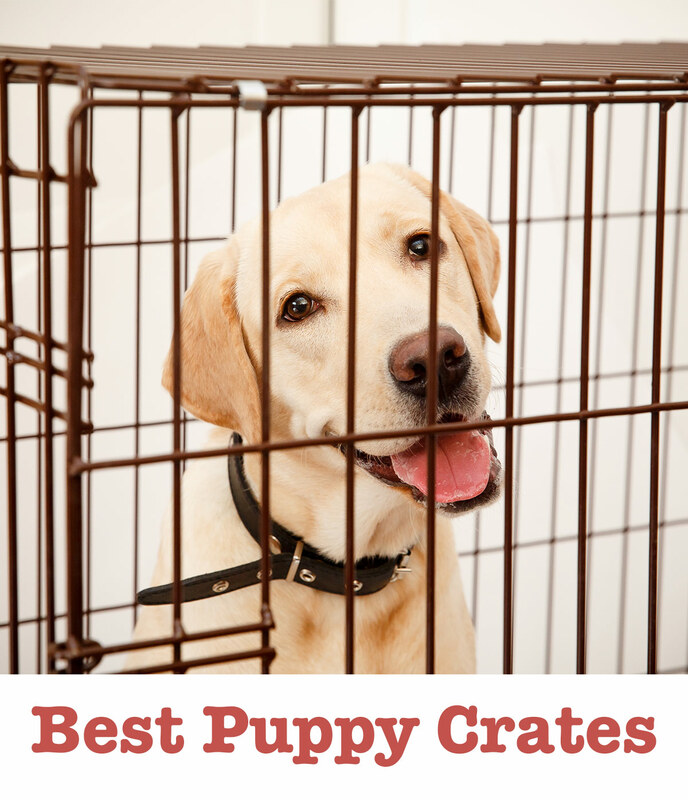 Welcome To Your Complete Guide To The Best Puppy Crates! Including Single And Double Door Options, Wire Crates And Plastic Crates. With Handy Reviews To Help You Pick The Right One. Especially for large and chew-happy Labrador puppies! Puppies like the security of a small space for nap time. Confining them to a small space may also be necessary for things like potty training, giving them a safe den, keeping them from engaging in inappropriate chewing while you’re occupied, or even to keep them immobile after a surgery. In this article, you’ll find out why you’d want to use a puppy crate, what constitutes a good puppy crate, some of our favorite puppy crates, and some helpful tips for determining which crate would be best for your pup. In a hurry? You can check out some of our favorite puppy crates here. You will find more detailed reviews of these below, along with some of options for the best puppy crates. What is a puppy crate? A puppy crate is just like a dog crate, but smaller in size and made of a material that’s tough enough to stand up to tiny sharp teeth and claws. Dog crates are generally boxed structures made of wire, stainless steel, fabric, or plastic with a pan that the dog can lay on. 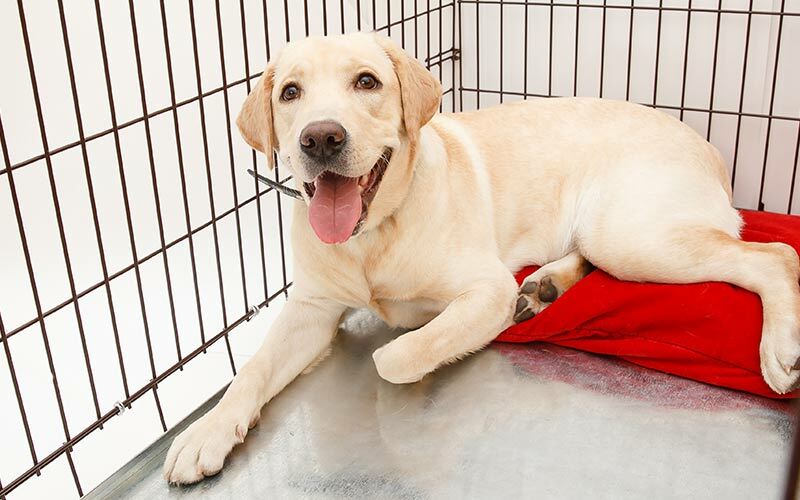 Many people put doggie beds on the floor to keep their pooch warm and cozy. Some crates are made for use at home, but others are specialized for travel. We’ll give you some examples of each later in this article too. Should I use a crate for puppy? Yes, you should absolutely use a crate for a puppy! We’ll talk about the reasons why in the next section. Although before you place your puppy in a crate for an extended period of time, be sure to read our article about crate training. Puppy in a cage…why would you want to lock a bouncy, energetic, and super adorable puppy “behind bars”? 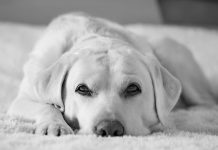 As we alluded to at the beginning of this article, there are several benefits of crating puppies. Potty training is much, much easier if your puppy spends some time in a crate that’s too small for him to have a sleeping spot and a potty spot. Keeping a puppy caged will prevent him or her from chewing on your clothes, furniture, and other household items that shouldn’t be chewed. It will also keep him from potentially stealing food and/or possibly toxic substances from your kitchen table. 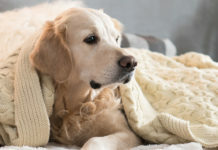 If your pup has recently been spayed, neutered, or had some other surgical procedure that requires them to be immobile for some time, crating him or her will prevent jumping around and other rambunctious activity. Like many other species, puppies enjoy having a confined space when it’s time to take a snooze. The small and secluded area gives them a sense of security. On the flip side, puppies that have been naughty or overly excitable can be placed in a crate for some down time and to show him the toys that he’s allowed to chew on. For additional information about why you should crate your puppy, check out our article on the benefits of dog crates. The best puppy crates are typically a wire-sided or barred box that’s made of stainless steel or some other sturdy material. One that can withstand chewing and clawing. It should have an easily removed or cleaned tray for a floor, four sturdy walls (one or two of which may include doors), and a ceiling (some models include a door on top for easy loading and unloading of puppies who bulk at a side door). There are dog crates that have soft sides made out of fabric, but we don’t recommend soft-sided crates for puppies. Teething puppies and/or breeds that are aggressive chewers may find a soft-sided crate to be a superior chew toy! Make sure that you choose the right size cage for your puppy – read on to learn what size would be appropriate for your particular pet and needs. The best puppy crates size depends on the puppy’s current size, but also for how long you intend to use the crate. You may wish to use a small crate for the first few months of your puppy’s life, then graduate to a larger or different crate. Or, you may wish to purchase a large puppy cage that you can divide for now. Regardless of how long you plan to use the crate, ensure that you purchase the proper size for now by measuring your puppy’s length. From the area where his collar sits to the dock of his tail, then adding a few inches for wiggle room. If you plan on using the crate for just a few months, then a 24-inch crate will suffice for a Lab puppy up to about five months old. Large puppy crates are not a good idea unless you have a large puppy, or else he may decide to potty in one end in sleep in the other. If you want to purchase a crate that your puppy will still be able to fit in once he gets bigger, get one that has a divider in it. 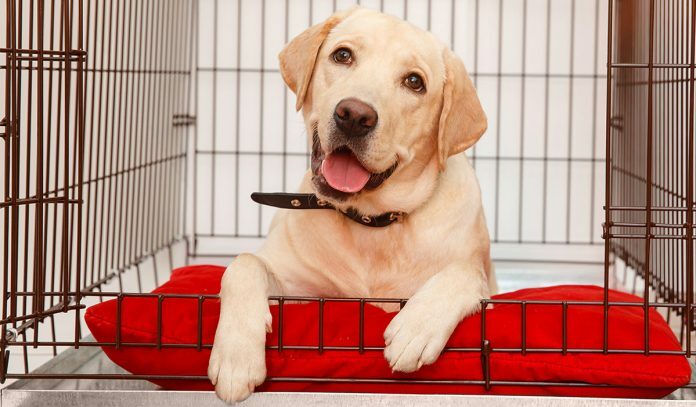 As we stated earlier, the best puppy crates should be made of chew-proof, scratch-proof material and large enough for your pooch to sleep in and move around a bit, but not so large that he feels like he can potty in it. The best puppy crates may also be collapsible and/or with multiple entry points. Here are some highly rated puppy/dog cages that are meant for home use. Could they be the best puppy crates for you? The metal structure of this super versatile Amazon Basics crate will handle just about anything! You can get this model with either a single entry or double entry, which has doors on the front and one side (no roof access). Mini dividers along the bottom prevent small paws from getting underneath the sides, and an optional divider would allow you to allocate space however you’d like. The folding design allows easy storage and setup/teardown, and the removable plastic tray ensures easy cleanup. Available in lengths from 22 inches to 48 inches, this could be one of the best puppy crates on the market. Here is the ProSelect Easy sturdy wire crate for your consideration! This model has a single point of entry with a double-latch system for added security. An optional divider makes it easy to increase or decrease the space inside the cage, as needed. The folding design makes the crate quite portable! This crate also includes a removable floor tray. The size Small measures 24 inches in length, so we recommend that you get at least that size, if not one of the larger sizes for your growing Lab. This SmithBuilt Heavy Duty crate may look a little severe, but it’s meant to keep even the most destructive puppies contained! The unique design allows for both top and side entry, and the floor grate prevents your pup from laying in his waste, if he accidentally toilets inside the cage. A removable steel tray means that waste can be cleaned up quickly. While this crate isn’t foldable, it does come equipped with four rolling casters for easy transport. This model is available in lengths of 36, 42, and 48 inches; it doesn’t come with a divider, so it’ll work best for larger (older) puppies. Here’s a nice wire Simply Plus crate that’s both folding and rolling! This particular model has double doors for both front and side access, and when it’s not disassembled, it can be transported via four casters (two of which lock when your pup is inside). There’s a removable floor tray, but it’s also possible to assemble the crate with dual floors. This model is available in lengths of 22 to 48 inches, and the 36-inch and above crates each come with a divider! Thankfully, you don’t have to spend an arm and a leg to purchase a high-quality puppy cage. While we do not recommend purchasing a “bottom of the barrel” cage (in other words, one that is cheaply built and/or super flimsy), you can sometimes find decent cages for less than the average cost of a name-brand cage. Occasionally, you may also find some of the typically more expensive cages on sale. If you’re looking for a heavy-duty but affordable wire crate, then this Precision Pet ProValu may be for you! As its name suggests, this model has two side doors, and the walls all collapse for ease of transportation. The included divider lets you to quickly and easily change how much space your puppy has in the cage. And the sliding plastic floor tray can be removed for cleaning. The size Small measures 24 inches in length, so we recommend that you get at least that size, if not one of the larger sizes for your growing Lab. Here’s a great deal on a nice Smith Built double-door metal cage. The collapsing (also known as ‘suitcase’) style means that you can simply collapse the walls and presto, cage disassembled! One special feature about this crate is the not quite metal but not quite plastic tray. The composite material makes it warmer than a metal tray, but less likely to stain or warp, like some other types of floor trays. Available in lengths of 20 to 48 inches, and all sizes have the option to add a divider at cost. We’ve shown you lots of “plain Jane” wire cages. Well, it’s about time that we showed you a crate that’s built well, isn’t too hard on your pocketbook, AND comes in some fun colors! The BestPet Extra Large folding pet crate. You can purchase this folding model as a single-door, two-door, or three-door crate. All of which feature double-latching for extra security. You can select from blue (available in single-door and two-door), black (available in two-door and three-door), or pink (available in two-door only). Each crate option comes with a removable metal floor tray. Select from 24- to 48-inch lengths; the three-door model comes with a divider. Here’s another lovely option from BestPet! This steel wire crate comes fully assembled, all you have to do is unfold and set it up! Tearing down is just as easy. Two entries (front and side), each with two latches, give you some different loading options, and the coated plastic floor tray should stand up to lots of abuse. Available in 36-, 42-, and 48-inch lengths. Traveling with puppies necessitates a travel crate – you should never drive with a loose puppy in your vehicle! An unrestrained puppy might try to get in your lap while you’re driving. Or he might try to eat anything that he can sink his teeth into. To travel with your pet safely, you should use a puppy travel crate, or a large travel crate that can be divided for now and used in its full size later. With this heavy-duty, yet lightweight Aspenpet Pet Porter plastic carrier, you can rest easy knowing that both your puppy and crate will make it from point A to point B intact! The squeeze-to-open door latch makes loading and unloading a cinch. And the floor moat will keep you pooch clean, if he happens to have an accident inside the crate. Side vents promote healthy airflow! 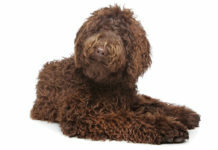 We recommend that you purchase at least the 25-30 pound model, if not a larger model for a Labrador puppy. This unique PetGear Other Door steel travel crate features not one, or two, but four doors! 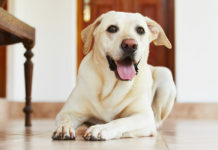 An insulated floor ensures that your furry friend will stay warm and dry. The plastic and steel assembly may look complicated, but this crate is actually foldable – it even comes with its very own travel bag! If you don’t feel like disassembling, the crate has built-in wheels and a pull handle for quick transport. It’s a slightly more expensive option, but the amenities just might be worth it. Available in 27-, 36-, and 42-inch lengths. Sometimes, a basic PetMate puppy carrier is all that you need. This plastic kennel is one such option. A two-way large door makes loading less stressful for your pup, and the slide-n-snap structure makes assembly less stressful for you! Plenty of ventilation makes it feel nice and open for your dog. We recommend purchasing at least the 20-30 pound size for your big bundle of Lab. Which puppy dog crate should I buy for my dog? Before you choose a puppy crate, you need to consider your puppy’s size, breed, and for how long you anticipate using the crate. 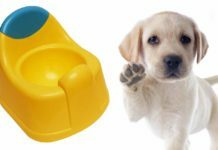 The best puppy crates, cheap or otherwise, must be durable and large enough for your puppy’s current size. But not too large to where the crate becomes both a sleeping area and a toilet. For Lab puppies, this means purchasing at least a 24-inch wire or barred cage that’s large enough for him to fit now. Or a large cage that he’ll fit later, but that can be divided for now. They won’t be able to chew or claw through the sides. 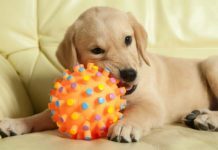 Soft crates generally aren’t usually the best puppy crates for Labs, either, since their fantastic gnawing capabilities make fabric and other soft materials look like a chew challenge! Traveling with a puppy also means that you’ll need a crate that can fit on your back seat, preferably one that collapses for easy storage. Again, Lab puppies (and other large and chewaholic breeds, for that matter) will require travel crates made of hard material, such as plastic, that can’t be easily chewed. Just remember that putting puppy in cage means that you’ll need to crate-train him so that he gets used to being caged for varying periods of time. We hope you have found some of the best puppy crates for you in this article. Why not let us know which one you picked in the comments section below?